Tony Adegbenro is the Founder and CEO responsible for creating Hope House Project; a registered charity dedicated to meeting local community needs by providing Kids clubs, youth clubs, mentoring and diversionary activities for people of all ages and backgrounds in the area of Skelmersdale, Lancashire in the United Kingdom. The Hope House Project has been recognised as a centre of excellence by county councils, police and other local youth organisations and has been providing services to young people at different centres around Skelmersdale since 1992 years. Thousands of young people, aged between four and 24, have benefited from its work I all those years. This led to the county council giving complete ownership of 2 community buildings in 2007 to Tony in appreciation of his dedicated work over those years. His wife Dola, as well as the amazing team of selfless volunteers (that Tony calls Champions) have contributed greatly to the successful running of the project and in touching the lives of children, young people and adults alike. His amazing achievements are the living proof of the stress free life that Tony lives as a result of the daily application of the principles and tools that can be found in his Kiss Stress Goodbye eBook. Tony is now turning his passion to helping individuals to UNLEASH THEIR CREATIVITY which he’s a living proof of considering the establishment of Hope Charity Shop that’s helping to support his community activities. The story is simply one of a community building that lay unused and wasting away (as many individuals are with the talents, gifts, abilities and creativity that lay as acres of diamonds on the inside) and once the idea/vision of a charity shop was formed, it was put into practice. A key volunteer immediately took action by bringing her own clothes and her kids toys etc to the building and the rest is history. Community residents are now donating unwanted but useful household items to the charity. Further, he dedicates himself to helping everyone that he comes into contact with to achieving their ultimate potential. Tony Adegbenro is an entrepreneur, author, philanthropist and business strategist. ü. Managing a football team for boys under 19, taking training sessions and weekend games. Here, he’s able to transfer his skills to young people enabling them to be a winning team. ü. Applying the How to Kiss Stress Goodbye tools to raise champions, as a team they have won league and cup championships for the past 5 years; plus other football cup finals. ü. Running a Kids Club for Children. This relieves parents of their stress, giving them a necessary break twice a week. ü. Running a Youth Club for Young People, getting them off the streets to a meaningful and purposeful life, away from anti social behaviour. ü. His other midweek activities include motivational talks in primary and high schools and weekend activities. ü. He is engaged in 4 to 5 days of Christian Activities per week. ü. He also performs Community activities as Chair of the Hope House Project, helping to make HOPE A REALITY for many. This involves working with other organisations and managing staff all at the same time. ü. He now runs his internet business from home to give him time to do all of the above. ü. In addition to all this he has a family of 5 ! Isn’t that challenging enough? Imagine combining all of the above. He surely qualifies to be an authority on stress management and worth listening to. Well, if he can achieve it you can too. These activities bring him into stressful and challenging situations almost every day, but as he said “I`VE KISSED STRESS GOODBYE” YOU CAN TOO! Just as he did. Life Coaching – helping young people or adults with any life’s issue where they desire personal development. Helping people to fly from where they are to where they want to go. Business Strategist…Tony is the brain behind Create Your World Enterprises where he’s helping everyday individuals to unleash the creativity within them to crate business instead of looking for jobs. He’s helping many to discover their life purpose believing that everyone create by God has the natural gifting to stand on their own and turn their passion to profit. Motivational Speaker– (Primary and High) – Tony works with children and young people as an outreach to school providing motivational messages in school assemblies to raise their standard above what they can see. He provides a very much loved service by Headteacher as it helps to address many aspects of school Curriculum in subjects like Citizenship, RE, PHSE, sports etc. Presently reaching today’s generation with life changing messages to prepare them for a better future that many adult missed in life. He has arranged and organised seminars, workshops in the past and will be glad to do it anytime. Topics include Relationship, Life’s purpose, Aim higher etc. 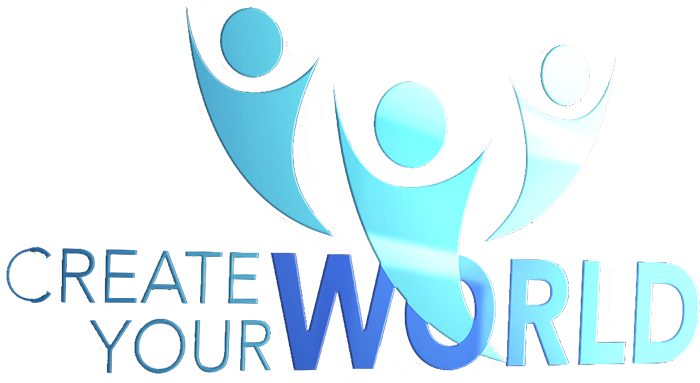 Youth Worker – Running and managing children and youth clubs in Skelmersdale, West Lancashire, England since 1992 touching thousands of lives over those years and providing a break for parents. As a parent himself he feels that parents should be celebrated more than celebrities because of the awesome multitasking they are required to provide as opposed to leaders, presidents and kings who are surrounded by advisers to help them in their daily tasks. He’s the brain behind the well celebrated Skem Search for A Star event some years ago that gave opportunity for several unknown and back stage individuals to unleash their creativity and talent leading on to the development of a brand new break dancing group, a singer winning a scholarship to the same music school that Amy Winehouse went to n London, a music band starting and touring United kingdom plus many more. Fund Raiser– Fundraising is a big part of his remit with Hope House Project with countless number of applications completed with success, the biggest being the £348,250 Community Asset funding to refurbish two buildings given to Tony’s project by the West Lancashire Borough Council. These buildings now provide Pro-active activities for the benefit of all the community. Football Team Manager – Managing boys under 19 team in Skelmersdale called Skem Legends FC. This follows the success of managing a team in Liverpool called Lakewood FC who won the league 2 seasons running and several cup in the process etc. Tony then managed a totally different set of young people in a different community entirely with Skem Legends Football Club in 2008 winning trophies again. This man is simply a winner. Everything he touches works about and you won’t be an exception. Parent and Relationship Coach – He has a great passion for children and young people and life Coaching. You can say that parent coaching comes naturally to him. His knowledge and skill base has helped many stressed and depressed families to get their lives back in order. One of Tony’s favourite TV programmes being Supernanny where its proved time and time again that when the parents know what they are doing the children will follow easily.